X-TREME SCOOTER MODEL PARTS ARE SOLD AS OEM (ORIGINAL EQUIPMENT MANUFACTURED) PARTS AND PRIMARILY SHIPPED FROM THE X-TREME SCOOTER PARTS WAREHOUSE IN IOWA. PRICES, DESCRIPTIONS, PICTURES, AND AVAILABILITY ARE ALL SUBJECT TO CHANGE AND DEALERSHIPS SUCH AS OURS HAVE NO ABILITY TO CONTROL THESE CHANGES. IF A PRICE INCREASES YOU WILL RECEIVE A BILL FOR THE ADDITIONAL AMOUNT DUE. IF YOU HAVE ANY PROBLEM WITH A RECEIVED ORDER YOU MUST CONTACT X-TREME SCOOTERS HELP DEPARTMENT BY CREATING A TICKET AT THEIR SUPPORT SITE: HTTP://WWW.X-TREMESCOOTERS.COM/SUPPORT. DIALOG ON THIS SITE TO RESOLVE ALL ISSUES. TECHNICIANS ARE STANDING BY. DON'T FORGET TO CHECK OUR GENERIC PARTS INDEX TO SAVE MONEY OVER OEM PARTS PRICES, PLUS FASTER PROCESSING/SHIPPING! 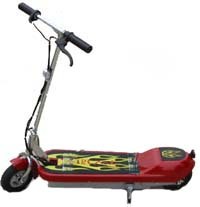 When the X-treme X11 scooter and other similar 250 watt electric scooters became popular our scooter parts were available for customers in need. The X-treme X11 and similar scooter parts were very hard to find, and still are for quality parts. The difference in our X-treme X11 scooter parts and others' X11 scooter parts is that we reject the cheap parts available to us. Plus, we test the X-treme X11 scooter parts we sell prior to shipping them to our customers, adding a little bit to the price but insuring quality. Bottom line - fast receipt of quality X-treme X11 scooter parts! The XTREME X11 uses a standard 8 inch front and rear wheel as sold in this listing of parts. It uses a 120 teeth belt, QB HTD 600-5M15.